Prague (AFP) - Czech leaders on Wednesday endorsed a "first step" towards moving the country's embassy in Israel from Tel Aviv to Jerusalem, following a similar move by the US administration earlier this year. In a joint statement, the Czech president, prime minister, parliament speaker, and foreign and defence ministers said the opening of a "Czech House" in Jerusalem in November would be "the first step in the plan to move the Czech embassy to Jerusalem." 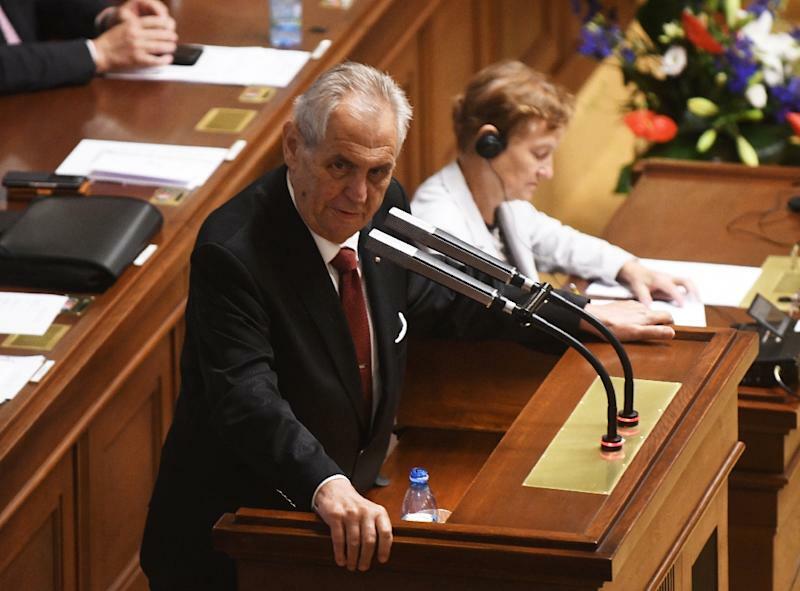 Jiri Ovcacek, spokesman for pro-Israeli President Milos Zeman, told AFP that the Czech House would host government institutions including the foreign ministry's Czech Centre, the trade agency CzechTrade and tourism agency CzechTourism. "The Czech House in Jerusalem will be ceremonially opened by Mr president during his visit to Israel in November," he said. Zeman, a 73-year-old veteran leftwinger with anti-Muslim views, pushed for the embassy move even before US President Donald Trump moved the US embassy to Jerusalem on May 14. Trump's decision infuriated Palestinians and intensified protests on the Gaza border, where several dozen people were killed in clashes with Israeli forces that day. Trump's move also ruptured decades of international consensus that Jerusalem's status should be settled as part of a two-state peace deal between Israel and the Palestinians. In May, the Czech Republic reopened an honorary consulate in Jerusalem following its closure in 2016 owing to the death of the honorary consul. The Czech Embassy has been in Tel Aviv since 1949 except for when diplomatic relations with the former communist regime in Prague were interrupted between 1967 and 1990.